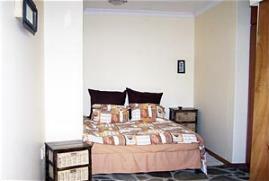 Veronika Bed and Breakfast is located at 5 Dolphin Street, which is situated in a very tranquil and safe residential area, a stone throw from the sea. Ample parking space is available if you travel by car. 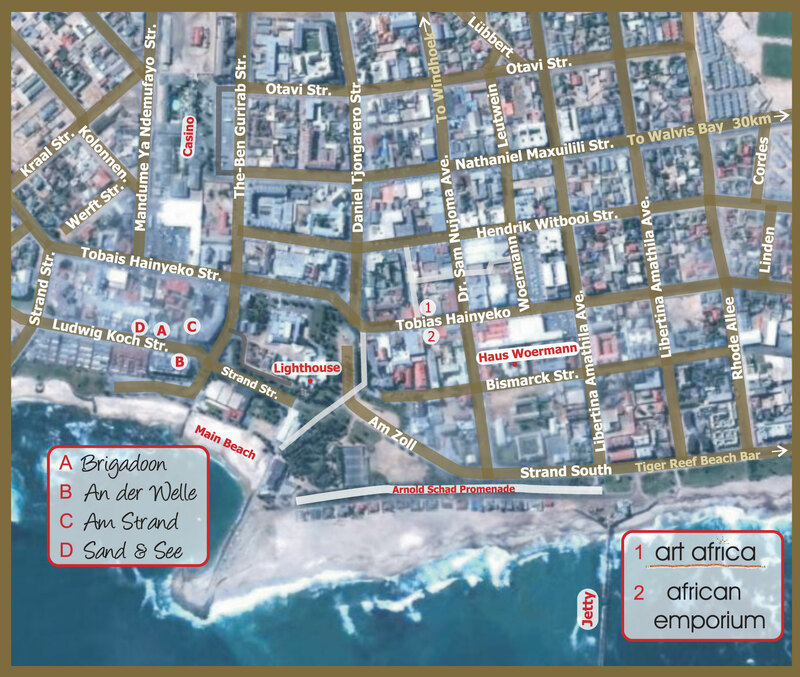 The beach is a 2 minute walk away, and the town centre a mere 15 minutes, although hosts can provide transport. 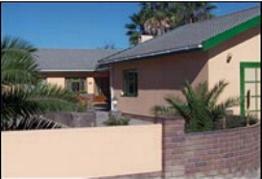 EVERYTHING NEW: Your hosts completely renovated the house in 2006 with a subtle African theme in mind. FEEL LIKE HOME: Each room has been fitted with an outside entrance so that guests can enjoy their privacy. Every room is equipped with a safe for your valuables. An extensive breakfast buffet will see to a good start of your day. 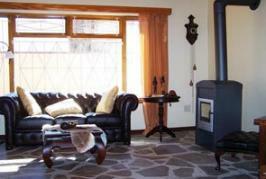 FACILITIES AND SERVICES: Veronika B&B consists of five spacious rooms, including single, double and family rooms. The friendly breakfast room as well as the peaceful relaxing lounge are at your disposal throughout the day. Free coffee and tea are available, as well as satellite television. A laundry service is also available for your convenience. At the reception is a fax machine, an international telephone as well as internet and E-mail facilities. 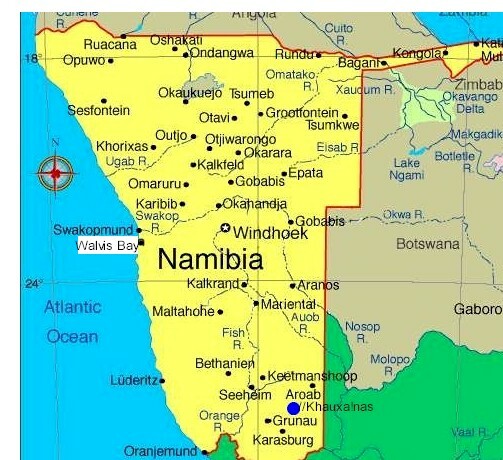 Hosts will gladly assist you in finding your way in and around Swakopmund. A links to coastal activities is here. 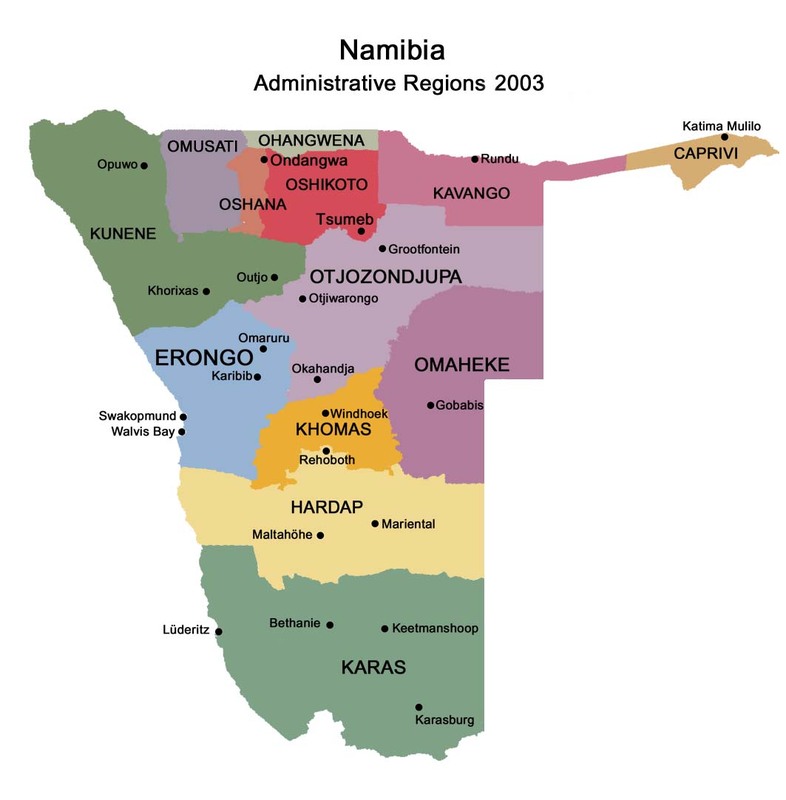 Airport transfers, sightseeing tours in and around Swakopmund can be arranged.